The knee is perhaps the most important joint for runners, although the ankle gives it a run for its money. Protecting them is therefore important, but can be difficult. People who want to ensure the health of their joints can use braces to help keep the muscles in place. Braces which apply heat to the area continue to grow in popularity because of their ability to reduce swelling and ease pain. But what heated braces are useful, and for what should you look? The American Academy of Family Physicians views knee braces as apparatuses designed to prevent or treat knee injuries. They come in four types: prophylactic, functional, rehabilitative, and patellofemoral. Runners will most likely use prophylactic or functional braces unless another has been prescribed by a doctor. Prophylactic and functional braces protect knees and support previously injured joints. These can be purchased from any shop which sells standard medical devices, including general stores and pharmacies. Doctors prescribe rehabilitative braces to people recovering from injuries or surgery. Runners who encounter problems like torn ligaments might have to wear one at some point in their lives. Finally, there are patellofemoral braces. These treat a specific condition where the kneecap does not move correctly over the associated joint. Many runners have a genetic predilection for this problem, but it can also develop over time. There is no standard material to create a knee brace. 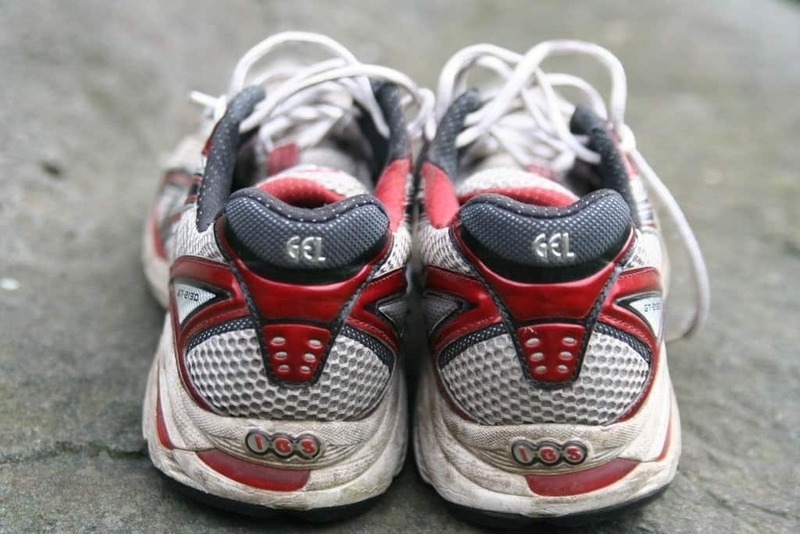 Runners can find variations which use foam, metal, plastic, elastic, and other synthetics. Ones purchased from general stores will likely use a combination of softer materials and avoid the harshness of metal. Knee braces hold an unusual place in medical communities. While they can help people recovering from surgery or with preexisting conditions, doctors have a difficult time determining whether their use has benefits on a regular basis. This doesn’t mean that regular braces aren’t useful. In fact, many runners find that they can help treat chronic pain. Athletes can also suffer from a condition called Runner’s Knee, which develops over time due to the amount of stress placed on the joint. This video demonstrates what Runner’s Knee is. Some researchers found that using a heated knee brace can simultaneously keep the joint in place while reducing the pain suffered by runners. Heated knee braces help prevent muscles from tightening while running and can ease pain and tension. 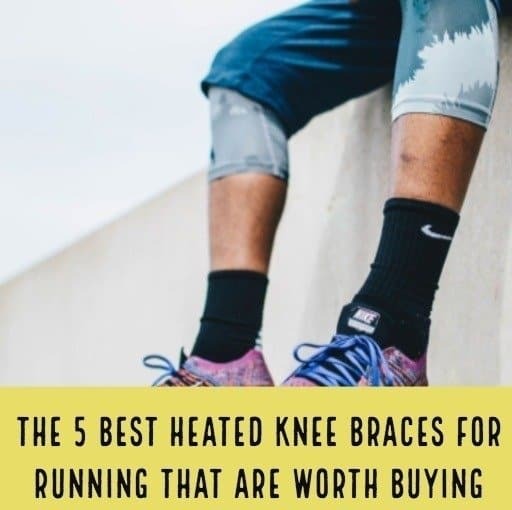 Below are the 5 best heated knee braces currently on the market for runners. This product is amazing, which is why it’s on this list, but also expensive and a bit unwieldy. A single unit can set a runner back a little over $100, but it does come with a manufacturer warranty of one year when purchased from one of the company’s sources. Unlike some other heating pads, the DPL FlexPad does not rely on stones, wires, or gel inserts. Instead, it uses a form of NASA developed infrared light therapy. The company claims the lights can stimulate blood flow, ease pain, and decrease muscle swelling while producing a gentle heat. 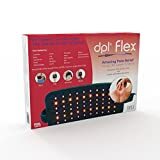 FINALLY RELIEF FROM MUSCLE PAIN & SPASMS, JOINT ACHES AND ARTHRITIS: DPL Flex Pad provides relaxation to muscles and relieves muscle spasms; relief of muscle and joint aches, pain and stiffness associated with arthritis and to increase local blood circulation. This flexible system can be used anywhere on the body, and it is recommended in case of sports injuries, arthritis, neuropathy, sprains, Carpal Tunnel Syndrome, neck and shoulder stiffness, sore back, ankle swelling, and tissue repair. INFRARED AND RED LIGHT THERAPY: Red and IR light work synergistically to deliver optimal skin rejuvenation. Red light reaches deep layers of the skin, where it stimulates cellular repair and increases circulation to promote a more vibrant, youthful complexion. Invisible to the naked eye, IR light penetrates deeper than any other color in the spectrum. IR light fights the signs of aging and accelerates healing of wounds, cuts, and damage. FDA-CLEARED: DPL Flex Pad is an FDA-cleared, OTC Class II medical device for pain relief. It safely stimulates blood circulation, relaxes muscles, accelerates healing, and relieves pain. Runners agree with the manufacturer’s assessment. Many have found that the brace remains a reliable alternative to more traditional heating wraps. The downside is the brace cannot be worn during too much athletic activity and works best when used afterwards. The product requires either a handheld power source or and electrical outlet. The brace should be left on for 14 minutes and has demonstrated the ability to relieve tension and pain caused from chronic conditions like arthritis. Users will notice that it has two rows of red lights and four of a seemingly white color, which actually produce infrared rays. The DPL FlexPad is recommended for runners only when they are performing an easy jog, or it can be used after a hard run but not during. Because of this lack of applicable flexibility, it is not suggested for people who truly need extra support and relief during the act of running. Are you tired of wasting batteries? The VIKTOR JURGEN Heat Knee Brace Wrap comes with an AC adaptor which can be connected to a portable power source. It’s possible to charge the brace and then use it on the go. Runners can control the level of heat applied to their knees and can worry less about any environmental impact. The brace heats to a maximum temperature of 150 degrees Fahrenheit. The manufacturers of this product designed it using bamboo, charcoal, and jade stones and as few synthetic or unnatural materials as possible. The VIKTOR JURGEN brace combines heat with regulated massage to treat chronic knee pain or discomfort caused by sore muscles, arthritis, and even sprains. Another benefit of its components is the moisture removal effects of the materials. Using a heated brace frequently comes with the side effect of sweaty knees and uncomfortable moisture buildup. The VIKTOR JURGEN brace wicks the water and sweat away and is easy to clean. Runners with constant joint pain recommend this product to those who frequently suffer from tension and discomfort caused by arthritis and other chronic conditions. It can be work during all types of athletic activity, ranging from a light jog to the intensity of a Spartan race. In terms of cost, the VIKTOR JURGEN is slightly more expensive than a standard wrap, but many find that it can last for years when handled properly. While most heating pads use a 5 volt battery, the Arris knee brace includes a rechargeable 7.4 volt battery so runners don’t have to worry about it dying during exercise. The pad is easy to put on and take off, and uses sturdy Velcro to securely wrap around the knees. 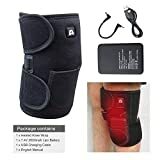 Package for this heated warm knee support only includes 1 pcs, so we suggest you buy 2pcs at a time to use on both knees. Perfectly suitable for Father`s Day Gifts. 【7.4V Powerful Rechargeable Lipo Battery Offers Unmatched Power 】- Almost all heating knee wraps in the market are powered by 5V batteries, while we use 7.4V battery, which offers unmatched power to the heating knee pad. 【3-Level Microprocessor Controller】- Red-White-Blue (45℃- 55 - 65℃) to adjust the desired heat level. A heating pad around 16 x 20cm with natural heat system. Adjustable wraparound knee brace. Perfect gifts for Mom Dad Men Women. One of the main benefits of the Arris brace is that it comes with built-in measures to prevent overheating. A sensor inside of the apparatus recognizes when the battery or pad is overheating and will turn off the warming system until it reaches a safe temperature again. The heating dial is easy to read and comes with three settings: 45, 55, and 65 degrees Celsius. Unlike some other braces, Arris is relatively lightweight and can be worn during harder runs. It is recommended that athletes avoid submerging it in water though, as that can damage the heating system. This product works for people recovering from injuries such as sprains, and runners have also found it effective for chronic pain or discomfort caused by arthritis and other conditions. The only downside to this brace is that it cannot be placed on red or irritated skin and does not come with any cooling inserts. TherMedic is a big name in the heating pad industry. Many runners find the price to be worth the benefits. 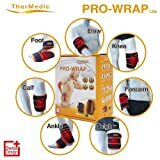 The TherMedic Infrared Heating Pad targets numerous chronic and acute conditions, including osteoarthritis, patellar tendonitis, and tears in the ACL, PCL, LCL, and MCL. It uses infrared technology, which evenly and efficiently heats knees without wasting energy. Users can control the temperature and don’t have to worry about overheating. The brace will automatically shut down after 30 minutes to allow the muscles to relax before resuming treatment. Runners can also insert the cooling pack which comes with the product if they decide they need a change. Unlike some braces, the TherMedic is not bulky and can be controlled while the runner is moving. It slides on easily, and the carbon fiber used to make the brace contours to each person’s leg for a tight fit. Unfortunately, there are some downsides to this brace. First, its sizes run small, so people with larger legs will not be able to wear. Second, the heating unit is small compared to other braces, so this should be used by people who want to focus the heat in one area. Despite these flaws, the TherMedic is a wonderful option for runners with more severe injuries like torn ACLs. The ActiveWrap Heat Therapy Wrap comes in numerous sizes and specifically fits around the knee and upper thigh to target common injuries and sprains. The product features two removable gel packs which can be heated or cooled to the user’s content. ActiveWrap receives high praise from runners because it provides support without sacrificing joint flexibility. It’s made from elastic and is easily cleaned. Specifically designed for the knee. Designed with comfort and precise functionality in mind. It's quick, clean, easy-to use. The ActiveWrap allows you to use interval contrast treatments (hot the cold). This brace is part of a minority which is FDA-approved, considered medical grade, and comes with a one-year warranty with the opportunity for replacement if it fails to perform. Runners enjoy it because of its comfort and their ability to heat the gel inserts to whatever temperature they desire. When used correctly, the gel packs can provide a full 360 degrees of heat around the joint. 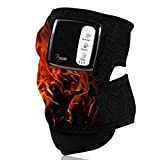 This product is recommended for runners who find themselves in need of a stronger, more consistent heating apparatus, or for those who suffer from joint pain or arthritis aches. So, as a runner, which heated knee brace should you pick? The answer ultimately lies with your personal needs. If you know that you are going to use the brace on the go, then you should pick one that is lightweight, flexible, and comes with easily adjusted heating elements. If you suffer from a more serious injury or chronic ailment, then you might want something sturdy and strong. In this instance, you should invest in a more expensive model and consider a brace that you can rest with after a long run. Just remember: You need your knees, not just to run but also to remain mobile. Don’t overstress your joint and be sure to take care of yourself.